The first official teaser of ‘102 Not Out’ is released today which is based on a story between a father and son. The OMG Oh My God director Umesh Shukla is also directing this film. 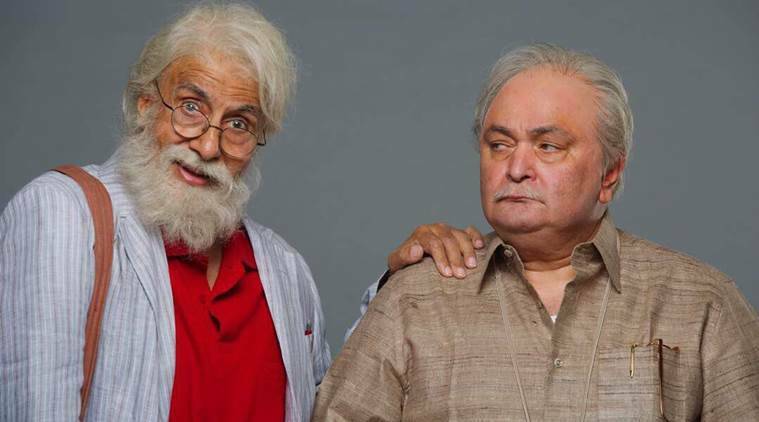 In the movie, Amitabh Bachchan is portraying a role of the 102-year-old father and Rishi Kapoor playing the role of his son. In the released teaser Amitabh Bachchan can be seen taking care of his son like every father does. Well, it is based on a Gujarati play of the same name, written by Saumya Joshi. The duo before this has acted in films like Kabhie Kabhie, Naseeb, Amar Akbar Anthony and Ajooba. “The idea of adapting (the play) into a Hindi feature came from the fact that the relationship between a parent and a child is universal and the one where love supersedes everything else, including age! Amitabh Sir and Rishi Sir together are a dream cast for anyone,” said Umesh Shukla. “Being in 102 Not Out brought back a lot of fond memories and fun I have shared with Amitji during my younger days. I am glad to reunite with him on such a special and unusual film. It will definitely delight our fans,” Rishi Kapoor said. The film is set to hit in theaters on May 4.